Fall means that all of our colleges and postgraduate training programs are well underway with their new classes of osteopathic medical students and residents. 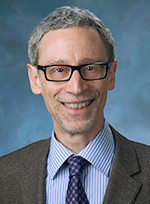 Developing and maintaining a relationship with students and residents is vital to the growth and future of the American College of Osteopathic Pediatricians. Our professional college has affiliated student pediatric special interest groups on most of our growing list of osteopathic college campuses around the country. Each year, we attract many of the incoming students to our affiliated student organizations. Pediatrics is very appealing to osteopathic medical students with its emphasis on preventive care and incorporating the whole patient and the patient’s family into the ongoing care of our growing patients. As we move toward completion of the single accreditation process, large numbers of our osteopathic medical graduates are entering ACGME pediatric residencies. This past year, the Counsel of Medical School Educators in Pediatrics reported that 351 DO residents entered into first-year pediatric residencies. This represents only the first-year numbers. Clearly, we have close to 1,000 DO residents in pediatrics currently in ACGME programs when you estimate for all three years. This does not include individuals in pediatric fellowship programs. The challenge presented to our professional college is to attract both student-level osteopathic medical students and resident-level DOs to become members of the ACOP, contribute to the ACOP by submitting articles and posters, participate in our various committees and attend our national meetings. Ultimately, the success of attracting this participation will depend on our ability to be relevant to those still in training and to offer value to this membership and participation. Our student organizations require mentorship. Ideally, a member of the ACOP should serve as a faculty advisor to each campus’ pediatric interest group. 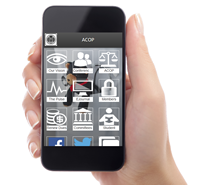 The advisor should encourage the group to have an ACOP liaison who submits articles to the PULSE and attends national meetings. Student members should receive counseling about pursuing pediatrics as a career and incorporating osteopathic practices into pediatric healthcare. Each of our meetings should continue to have special student sessions with educational opportunities and career counseling. Our students will ultimately learn that the ACOP can be an important resource for them in their pediatric career and about the fellowship and support they will receive as a member of our professional college. Our college has developed a special committee to help postgraduate pediatric residencies achieve osteopathic recognition. This committee will help programs with the application process and lend support to the academic requirements necessary to keep the program’s trainees and faculty in compliance with accreditation standards. Trainees and graduates from these programs will come to our meetings to get ongoing training in pediatric osteopathic therapeutics. Currently, we have only one program that has achieved this status. This committee will work on expanding this list. These residencies are an important source of our future active members. Osteopathic residents in ACGME programs need to find a home in the ACOP. Our college needs to develop methods for locating and contacting DOs in pediatric residencies who don’t alreadybelong to our professional organization. 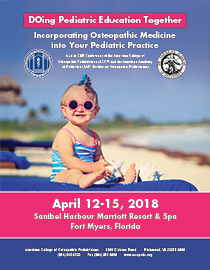 Offering mentorship, osteopathic training and opportunities to meet other osteopathic pediatricians can serve as an enticement to have these future pediatricians attend our meetings and become members. Many of the DO residents in ACGME pediatric residencies are unaware of the excellent CME programs offered through our college. I look forward to hearing from all of you for ideas that will help us build our college into the future. We are a strong core of dedicated pediatricians that have made our college an organization for which each of us should be very proud.